What Should The Box Product Managers Do Now? Just in case you have not heard of Box (or Box.net as they are sometimes referred to as) it is a startup firm that offers cloud based storage to individuals and businesses. Box was started by Aaron Levie based on a college business project that he did. Aaron is, of course, 29 years old. By all accounts, Box has been very successful. As they prepared for their IPO in March of 2014, they were being valued at roughly US$2.2B. As exciting as it is to be a startup, Box is playing in a very competitive market. There are a number of better known firms that they are competing with for new customers. These firms include Dropbox, Google, and Microsoft. Even the folks running Box acknowledge that there are low barriers to entry into this market space. It’s not clear who’s going to win, but the size of the budget that you have to spend may play a key role. Box’s revenue recently doubled to US$124M. It’s important to note that this revenue comes from both individual customers who pay for their service along with businesses who pay for their employees to use it. However, Box had a loss of $166M for their previous fiscal year. The company is still not profitable. They are spending more on getting new customers than they are making on the customers that they have. So if you were a product manager at Box, what would you be doing right now to boost your product manager resume? Clearly you’ve got a lot of different issues that are all demanding your attention and you are going to have to do some serious prioritizing very quickly. Right now your focus is to spend a lot of money with the hopes of attracting a lot of new customers. This is the same product management tactic that is being used by other hot startup firms like Salesforce.com and Workday. The thinking is that if you can get the customer, then the upfront spending is going to be worth it. What will happen is that once the customer is on board, they’ll stay with you and the years of subscription fees that they’ll end up paying you will more than make up for the cost that you had to acquire them. As a product manager, what you’re going to have to do is to find ways to convince those expensive free customers that you’ve signed up to convert into paying customers. Of their existing business customers, roughly 15% are paying customers. Of their individual customers, roughly 7% are paying customers. This means that one of your key product management tasks has to be to create new features such as security enhancements that will only be made available to paying customers and which will cause free customers to convert to paying customers. Every product manager has dreams. We would all like to be in charge of a product that everyone wants, that everyone is talking about. The product manager job description for the startups that are located out in Silicon Valley always seem to make it the place that every product manager would like to be. However, it turns out that this type of product manager job just might be a bit harder than any of us had ever believed. 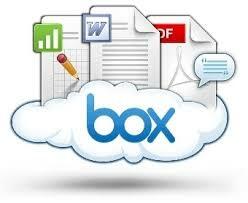 Box is a startup firm that is providing cloud based storage services to individuals and businesses. They are competing against such better known firms as Dropbox, Google, and Microsoft. As of yet, they are not profitable. However, they do have a lot of free customers and their product managers now need to find ways to turn their free customers into paying customers. As we all know, it’s 5x harder to sell something to someone who is not currently your customer than to sell something to someone who already is your customer. The Box product managers have the advantage of having a lot of free customers. Now all they have to do is to find the right mix of new features that will cause these free customers to sign up and become paying customers! Question For You: Do you think that Box can compete with Microsoft and Google based on the price of their service?